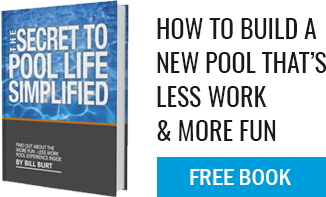 Do freeform pools cost more than traditional rectangle pools? With a gunite pool, the costs are not associated with shape but more so with the cost of materials required to build the pool. The area of the pool, as well as the perimeter, give us information which allow us to calculate costs. Shape is not a factor by itself. Quite often, a freeform shaped pool, with the same overall dimensions as a rectangular pool, will be less expensive. For example, if you draw a 20’ x 40’ rectangular pool on a piece of paper, then draw a kidney shaped pool with the same 20’ width and 40’ length inside of that rectangle, you can see that the freeform shaped kidney pool will use less materials. If the features on both of those pools are the same, the cost of the freeform would be less.